The Summer Waves Novelty Floats are a fun way to enjoy your favorite pool, lake or beach this summer. These oversized floats feature your choice of our vibrant pink Flamingo or the enchanting Unicorn. Each come with durable PVC construction, comfort seats, grip handles, and are easy to inflate. Just fill with air, and let these colorful creatures lead you on a refreshing adventure. Assorted Floats, Flamingo or Unicorn The Summer Waves Novelty Floats are a fun way to enjoy your favorite pool, lake or beach this summer. 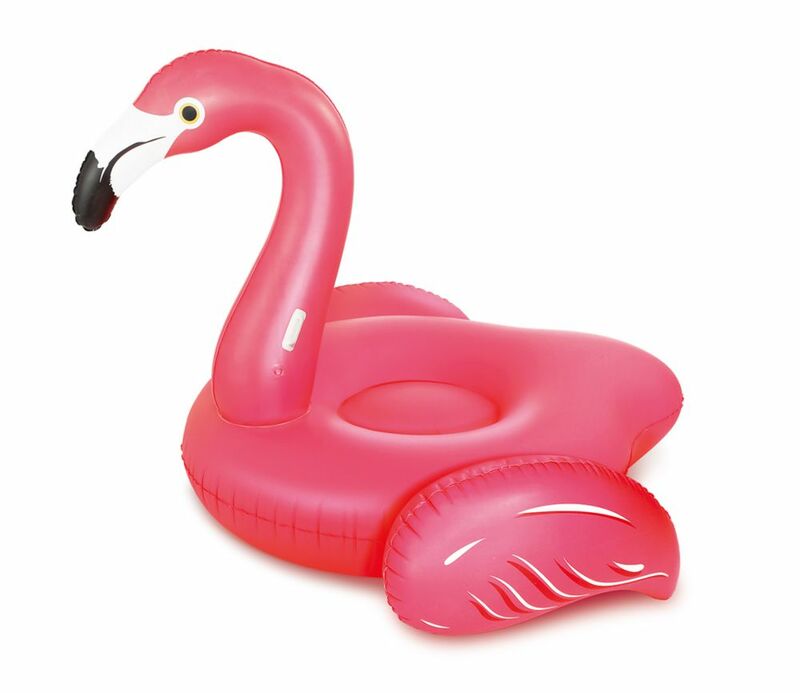 These oversized floats feature your choice of our vibrant pink Flamingo or the enchanting Unicorn. Each come with durable PVC construction, comfort seats, grip handles, and are easy to inflate. Just fill with air, and let these colorful creatures lead you on a refreshing adventure.